**PET POLICY is $10.00 per pet per stay. Must clean up after and no barking. **WEEKLY RATE for one person is $225.00 and for 2 people is $350.00. 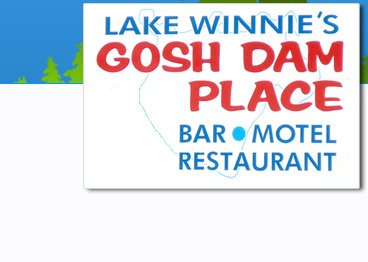 Welcome to Lake Winnie's Gosh Dam Place! Stay Mon. & Tue. & get Wed. night FREE!! Looks like Fall is gone and Winter is officially here. A cold start to winter has got ice fishing off to an early start. Many people have been out on area lakes angling and spearing already. Reports of 6 to 10 inches of ice are the norm with more being made daily. Permanent shacks are being put out on Red and LOW as I write this. A few of the local resorts are currently offering spear house rentals, including Little Winnie Resort, Tamarack Lodge and Dixon Lake Resort. It is best to call the specific resort you will be traveling through for a more current update, and as always, exercise caution when on the ice. The motel is starting to fill up for the ice fishing season, some weekends are completely booked, so don't wait till the last minute to make that reservation. The rates on this page will be honored with any new booking, but will be increasing January 1st. Please like our page on Facebook and follow us for more current updates. Like in past years, we will be having a Christmas Eve potluck from 3:00 to 7:00, everyone is welcome and the bar will be open. New Years Eve information coming shortly. I know we will have prime rib, a seafood special, and a pasta special for sure. Menu will be posted on Facebook shortly. Reservations are welcome, but not required. 8:00 A.M. to 9:00 P.M. Saturday & Sunday. Bar open later and homemade pizzas available also. You can count on us to provide you with good food, good drinks, clean and simple comforts at a fair price. Need we say more? 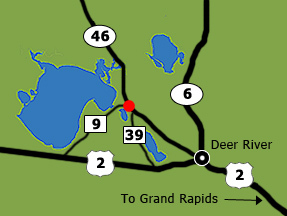 Whether you are passing through, working in the area, or making the north woods your vacation spot, we invite you to experience our "down home" hospitality. Our customers return over and over, because of the superb food and drink, the awesome staff, the fun they have and the friends they make. After a satisfying meal, just step out into the northern Minnesota air and walk to your room with a comfy bed, cable TV, Wi-Fi, AC, and microwave/mini-fridge. Location is perfect. Easy access to Lake Winnie / Cutfoot Sioux. 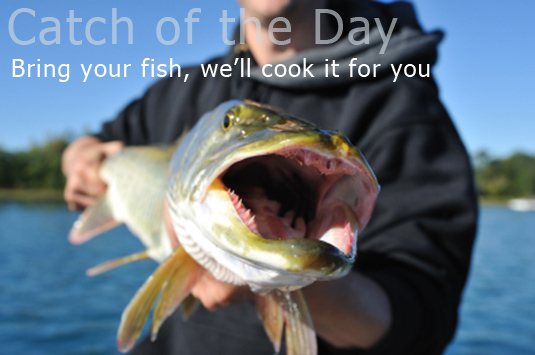 Close to Sand Lake, Bowstring Lake, Round Lake, Jessie Lake, Cass Lake, Leech Lake, and many more. We have direct access to miles of snowmobile and ATV trails. Adjacent convenience store has gas, bait & licenses. Four season heated fish cleaning room. Outside plug ins with well lit parking lot for RV's, boats, snowmobile trailers and semi trailers.